Ideal Junior / Kids / Youth bows. Only available to customers who are 18 years old or over. Crossbows may only be used for inanimate target shooting in the UK. 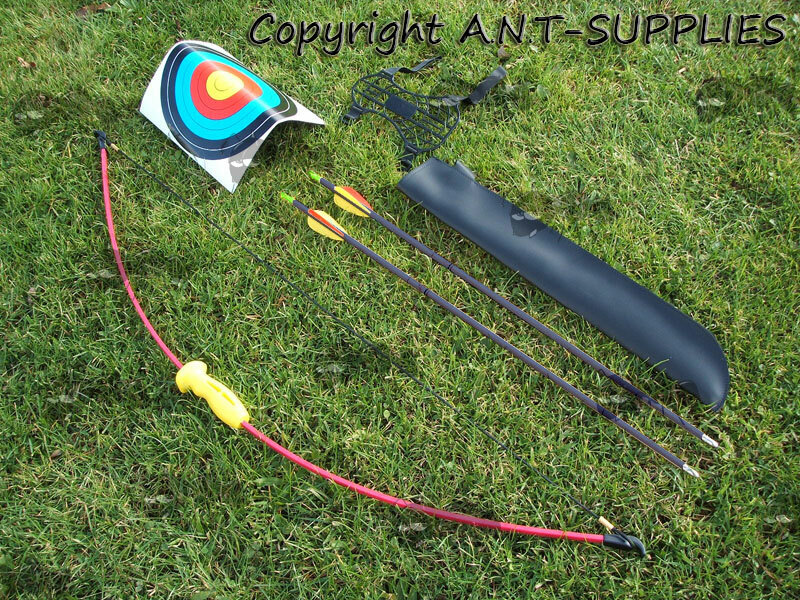 Kit includes; a quiver, 2 fibreglass arrows, a simple arm guard and 1 paper target face. Bow length - 36½ inches. Great bit of kit at a fantastic low price. 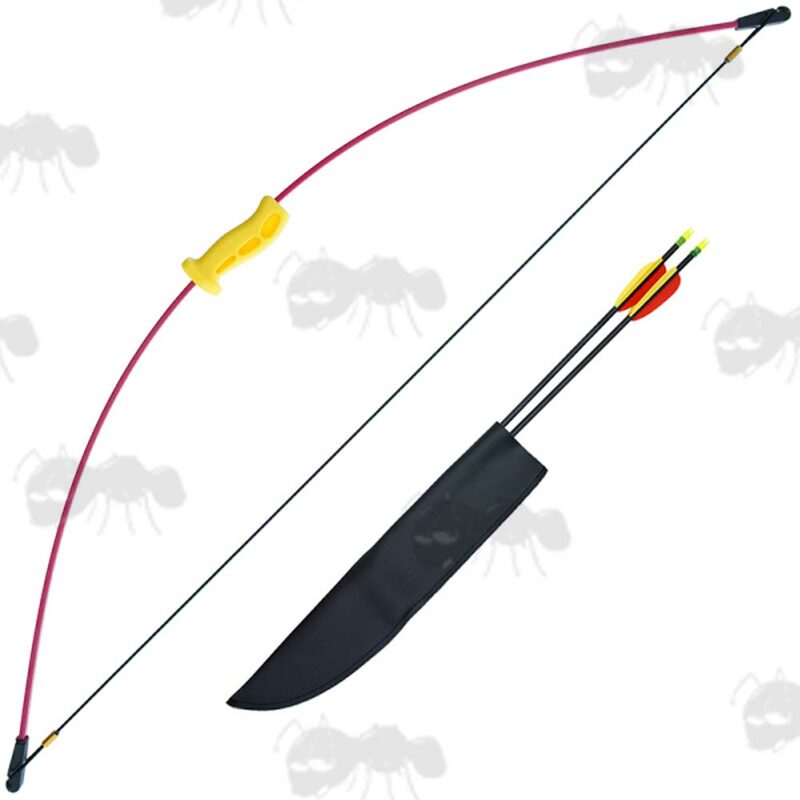 36", 10lb lightweight fibreglass starter bow and arrow set. For this bow it is recommended to use 26" fiberglass or wooden arrows. If you see this message, it means that your browser doesn't support iframes or they are disabled. You can access the information shown in this frame here: Pistol Crossbow Product Scroller.